The crescent moon of 1 Muharram 1440 Hijri is sighted from many places of the world in the evening of Monday, 10 September 2018. Below are some of the early hilaal (crescent moon) photos available online. 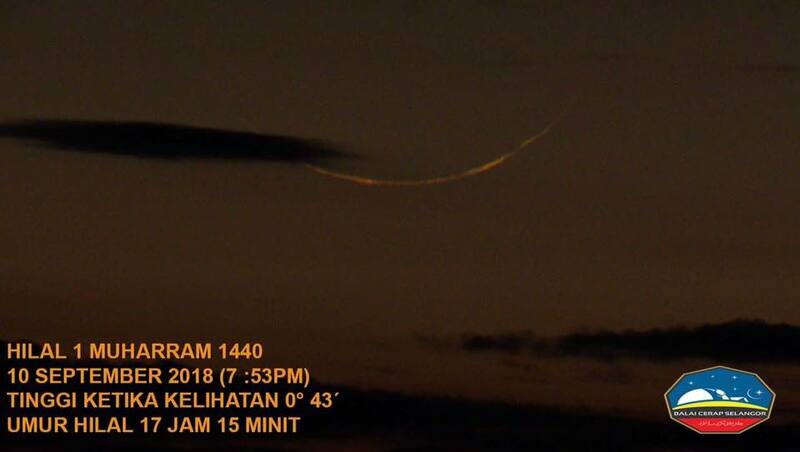 With this result of moon sighting, the Islamic New Year of 1440 Hijri, 1 Muharram 1440 begins on Tuesday, 11 September 2018. Earlisest report of moon sighting was received from Indonesia & Malaysia. Negative sightings were reported from Australia. 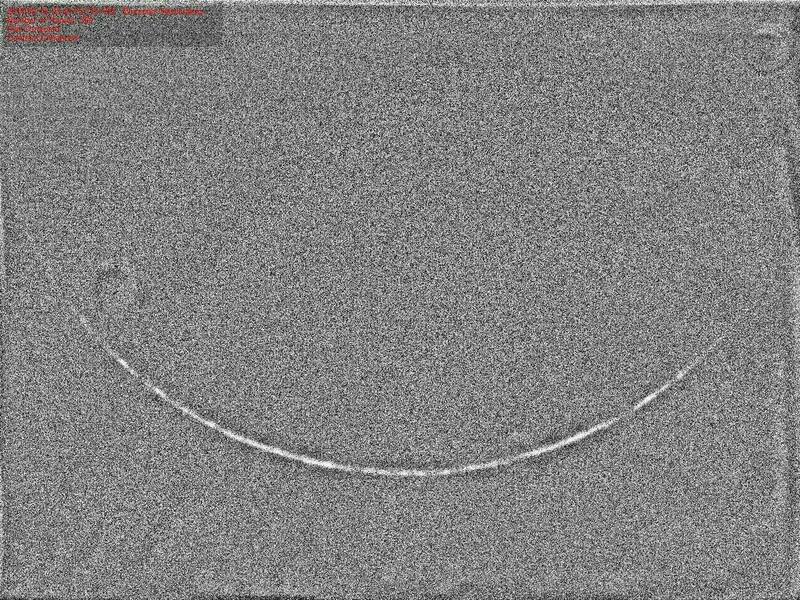 Photo of the thin crescent moon (hilaal) of 1 Muharram 1440 AH obtained from Selangor, Malaysia on the evening of Monday, 10 September 2018. 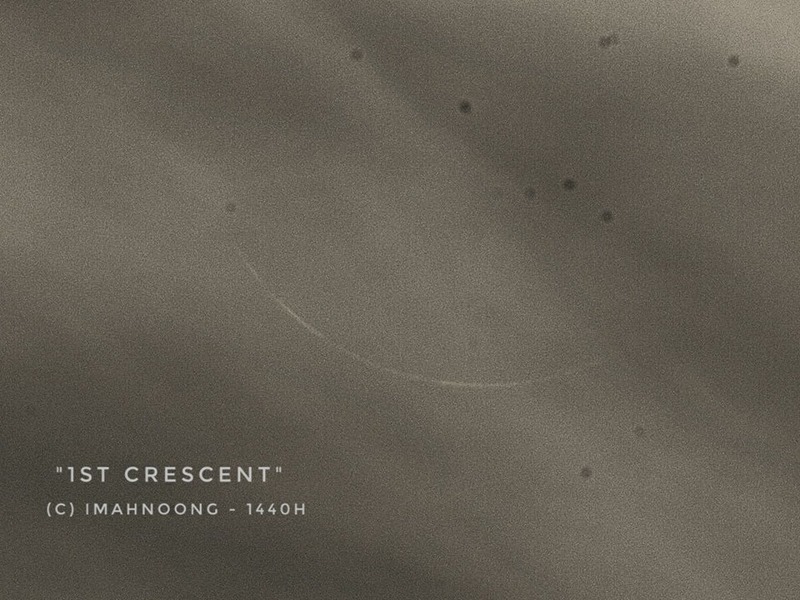 From Bandung, Indonesia, the thin crescent moon of Muharram 1440 AH was captured in this photo by Imahnoong (Hendro Setyanto) on Monday evening, 10 September 2018. CCD imaging of the 1 Muharam 1440 AH crescent successfully captured the hilal from Kupang, East Nusa Tenggara, Indonesia at the time of sunset.